If you are looking to build a one car garage in Des Moines, IA or surrounding areas, call Midwest Builders today. We have been building and designing custom garages since 1954, and have established a fantastic reputation in the area based on our quality work and timely service. 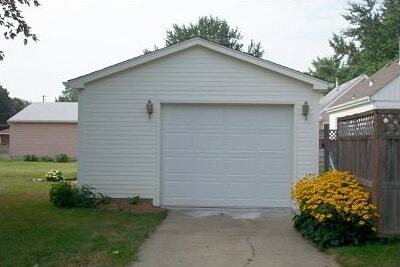 We are one of Iowa's largest garage building contractors. According to industry standards, a one car garage should have a starting point of 12x20 feet. Midwest Builders can lay out a custom sized one car garage according to your needs and desires. We use the highest quality equipment on the market and have professional and experienced contractors. You will be pleased with our fantastic customer service and great rates. Come visit our full-size indoor showroom in Ankeny, IA to see exactly what your finished garage could look like. We are one of the only contracting companies in the area to offer this special feature. Give us a call today to get started with your free estimate on your new one car garage. We look forward to working with you!